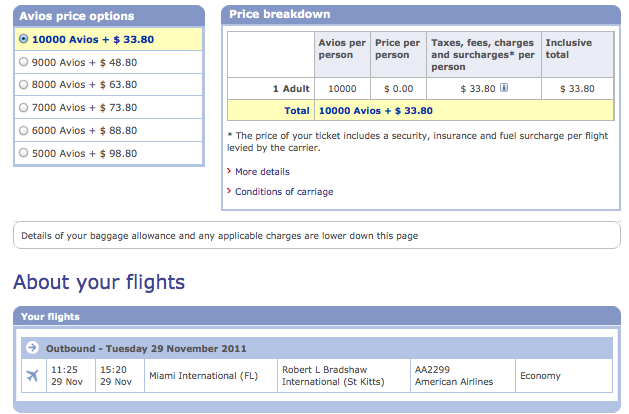 American Express Membership Rewards is offering a 30% bonus on transfers to British Airways Avios points from now until January 31, 2012. 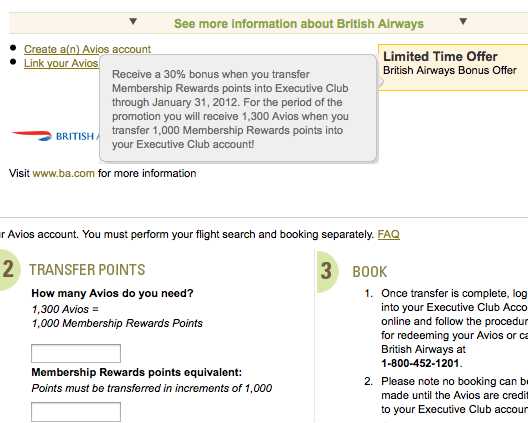 The bonus is hard coded into the transfer ratio, so 1,000 Amex points = 1,300 Avios points and they transfer instantly. And remember, you can transfer Amex points to anyone else, so this might be a good time to top up your family or friends’ accounts to get them to levels needed for awards. Amex will even let you advance points for free as long as you earn them back within a year – 15,000 for Premier Rewards Gold/ Gold/ Green and up to 60,000 points for Platinum. Remember, you can also set up a Household Account to pool your Avios points, which makes the logistics of booking travel amongst several accounts much easier. Before you scoff and write off Avios (which people are calling Adios), hear me out – the program isn’t as bad as it may have gotten credit for recently. Now before you call me a traitor since I pretty much slammed British Airways for the launch of Avios (from lack of communication to the butchering of some of my favorite awards), I’m still going to use Avios points because frankly there is value to be had. To me, not using Avios points would be a prime example of cutting off my nose to spite my face – the only one losing out would be me. 1) Last minute redemptions: British Airways does not charge last minute award ticketing fees like American, which levies a hefty $75 fee for any awards booked less than 21 days in advance. 2) Short/medium haul flights: The new Avios program may penalize you for making multiple connections or going long distances, but one-way flights now start at only 4,500 points – pretty incredible, since many short-haul flights cost an arm and a leg – especially for last minute travel. 3) Transfer bonuses from Amex: Frankly a 30% bonus is pretty significant (though not as lucrative as past 40% and 50% bonuses). To me, these bonuses take the sting out of the Avios devaluation, though not completely. 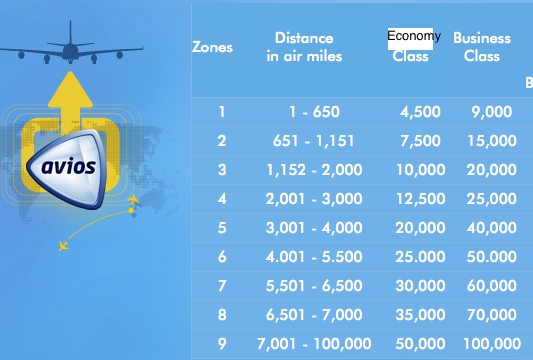 You can also use this calculator to figure out how much your trip will cost in Avios points. Note: You must price each leg of your itinerary individually. So for example, you can’t enter Toronto to Lima. You’d have to do Toronto to JFK, JFK to Lima and add them together. Annoying, I know. 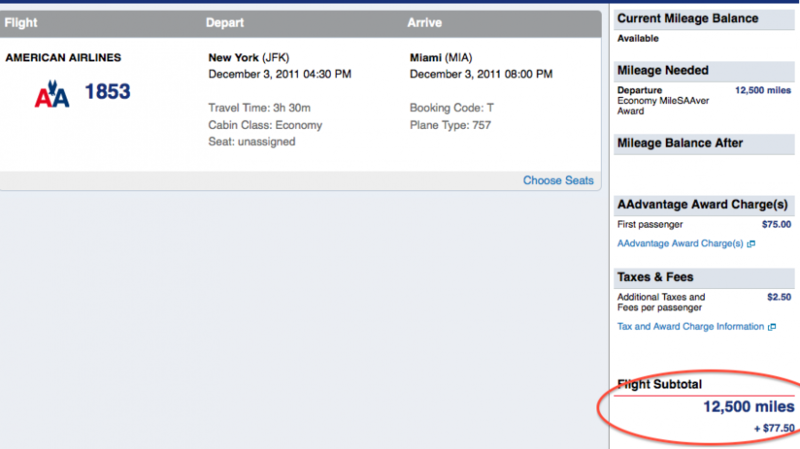 Some examples of valuable Avios redemptions vs. using American Airlines miles for the same trips. 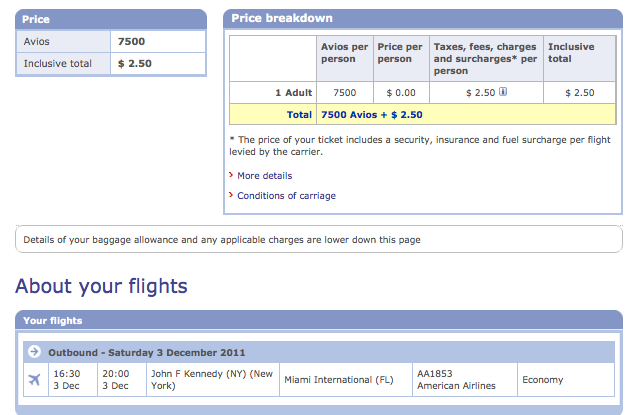 1) Last minute one-way trip JFK to Miami. Paid Fare: $199.70. You’d be getting 2.6 cents per Avios or 3.4 cents per Amex points since you’d only need 5,770 with the 30% transfer bonus. Not bad for a domestic coach redemption! 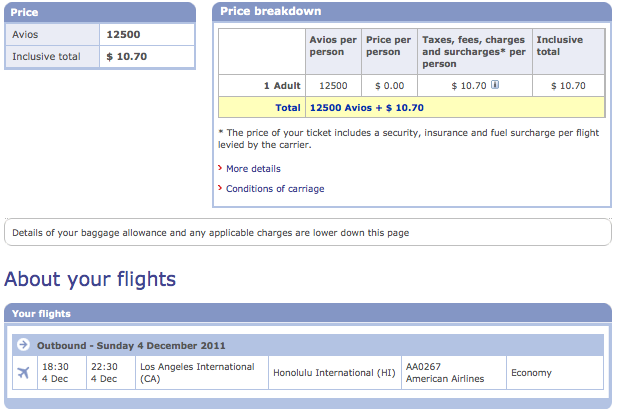 AAdvantage: 17,500 (off-peak rate. 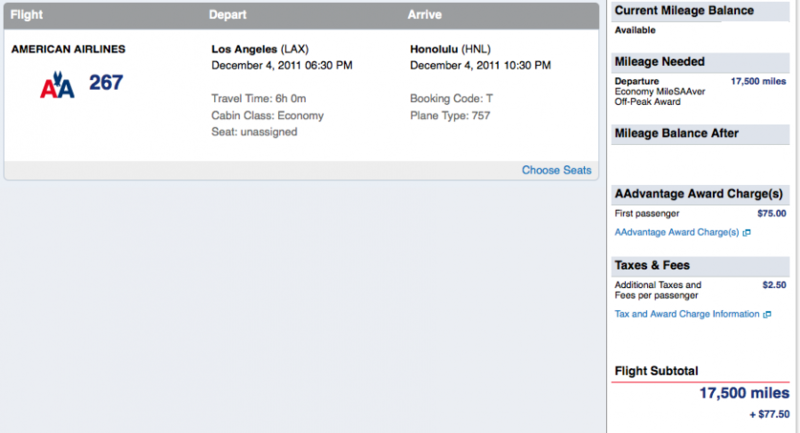 Normally US to Hawaii is 22,500 one way) and $77.50. Paid fare: $1,424.32 (no discounted coach fares were left, only flexible). You’d be getting 11.3 cents per Avios or 14.7 cents per Amex points since you’d only need 9,616 with the 30% transfer bonus. Now we’re talking! 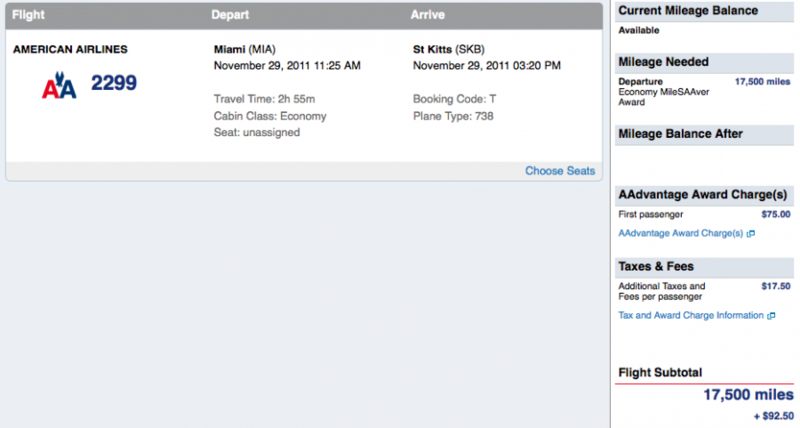 3) Last minute Miami to St. Kitts in economy. Avios: 10,000 points and $33.80. Paid fare: $408.30. You’d be getting 3.8 cents per Avios or 4.9 cents per Amex points since you’d only need 7,693 with the 30% transfer bonus. These are just a couple random examples and I didn’t take into account the fact that you don’t earn miles on award tickets or that most people don’t buy one-way last-minute fares. It’s merely meant to show that using Avios can indeed make a lot of sense – especially if your travel is non-stop, last-minute and short/medium-haul. So if you’ve been mad at British Airways and sworn them off – it might make sense to at least test out some redemptions and decide whether the 30% transfer bonus makes sense for you.